This shot of Gary Stringer from Reef was taken at the band’s recent sold out Shepards Bush Empire show. 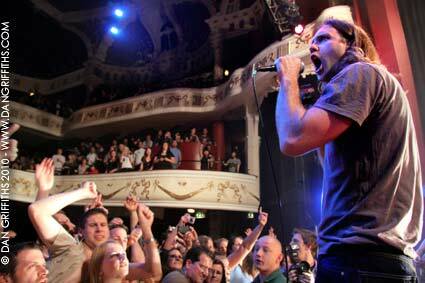 The band had performed a secret warm up show at the Water Rats in London a few days before the start of the tour. The show was a real return to form and it was a great show. You can see a slideshow of images from the performance by clicking the image above.